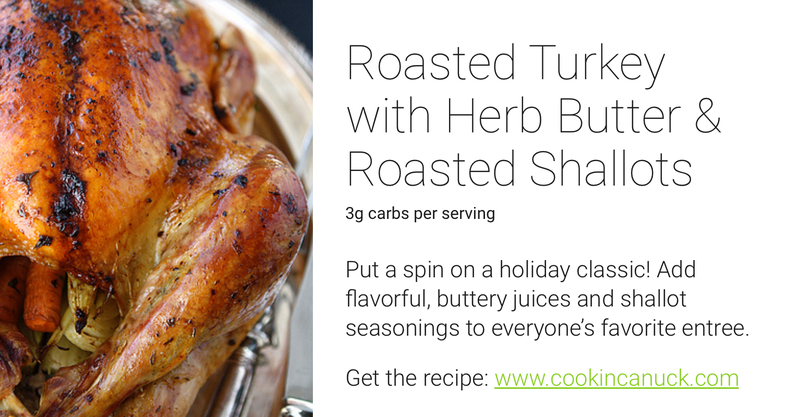 Give Thanks for These Low-Carb Thanksgiving Recipes! Many see Thanksgiving as the ultimate holiday - family, friends(giving), football, Black Friday sales - what's not to love? But for us PWDs (people with diabetes), the Thanksgiving meal has the potential to be a major stressor. All those carbs floating around (sourdough bread stuffing, sweet buttered rolls, endless cranberry fixings - you get the idea) will send our sugars soaring and put us in the ultimate post-meal food-coma. But this year, that doesn't have to be the case! We've hunted down some of the best low-carb, low-sugar Thanksgiving dishes out there (we are technically still in #NoSugarNovember mode), and there are some seriously good eats to choose from. No need to fret over the feast - these recipes are sure to keep you happy and healthy. Winner, winner, chicken(turkey)-dinner! The Thanksgiving Turkey is the ultimate main dish - and it's naturally low in carbs! Check out two of our favorite turkey finds, as well as other tasty alternatives. Everyone knows the key to the ultimate Thanksgiving meal is the side dishes - and the more sides you fit on your table, the better. But it's those same sides that are typically the biggest carb culprits on the menu. And even in the midst of the Thanksgiving dinner, we've gotta stay true to our #NoSugarNovember challenge! In order to keep us all on track, here's a rundown of new, low-carb takes on old favorites. Afraid you won't be able to enjoy a scrumptious dessert? Think again! There are plenty of low-carb, sugar-free sweet treats out there, these are just a few of our top-picks that are sure to wow your audience. 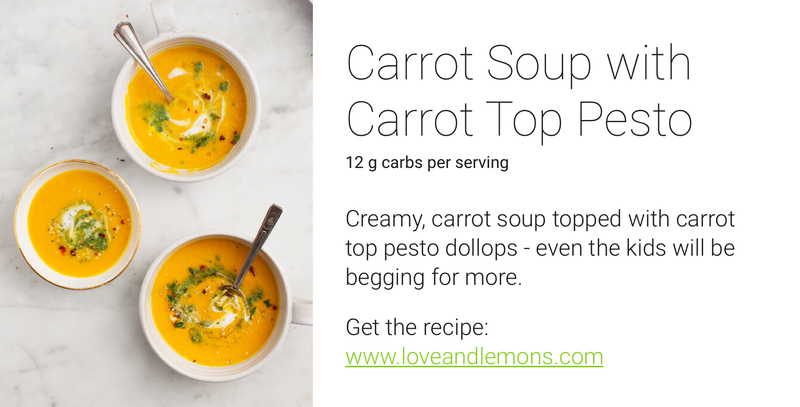 For even more #NoSugarNovember recipes ideas, check out our recipe guide to eating low-carb.